BRIDGEWATER, N.J. — President Donald Trump claimed Sunday that newly released documents relating to the wiretapping of his onetime campaign adviser Carter Page “confirm with little doubt” that intelligence agencies misled the courts that approved the warrant. But lawmakers from both parties say the documents don’t show wrongdoing. 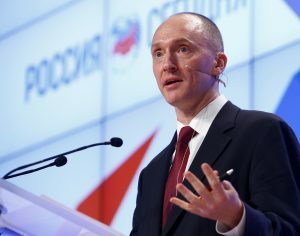 The documents have been at the center of a political firestorm for months, as some Republicans have suggested that the FBI misrepresented evidence to obtain warrants to monitor Page as they investigated possible collusion between the Russian government and a Trump aide. The documents had remained out of public view until Saturday, when they were released under the Freedom of Information Act. In a 2013 letter, Page described himself as an “informal adviser’ to the Kremlin but now he told CNN “it’s really spin” to call him an adviser. What’s behind Trump’s FBI spy theory?